What is the definition of “highway”? If you were convicted of driving on a suspended or revoked license in Jacksonville, you were likely stopped by a police officer on a public street and arrested or issued a Jacksonville traffic ticket. In most driving with a suspended or revoked license cases, the driver is stopped for a traffic infraction. For example, the driver is stopped for speeding. After the police officer runs his or her drivers license, the officer issues two citations: a Florida speeding ticket and a ticket for the suspended license. This is a basic scenario, but a change in facts can change the case and the outcome. “Highway” means every way or place of whatever nature within the state open to the use of the public, as a matter of right, for purposes of vehicular traffic and includes public streets, alleys, roadways, or driveways upon grounds of colleges, universities, and institutions and other ways open to travel by the public, notwithstanding that the same have been temporarily closed for the purpose of construction, reconstruction, maintenance, or repair. 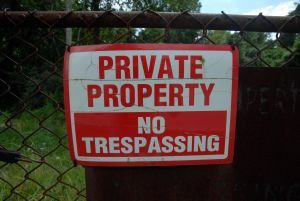 The term does not include a roadway or driveway upon grounds owned by a private person. “Street or highway” means the entire width between the boundary lines of a way or place if any part of that way or place is open to public use for purposes of vehicular traffic.